LONDON (Reuters) - British Prime Minister Theresa May will continue to seek changes to her Brexit deal, a spokesman for her office said, after she suffered a symbolic defeat in parliament on her strategy. "The government will continue to pursue this with the EU to ensure we leave on time on 29th March," the spokesman said. 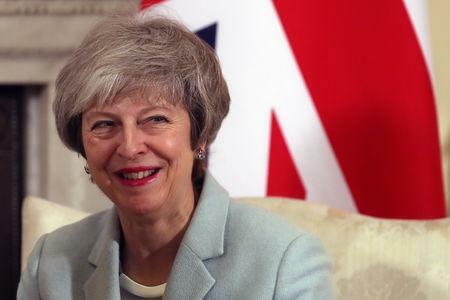 The spokesman said May believed her Conservative lawmakers still wanted her to renegotiate the deal, but had voted against her on Thursday because they were concerned about the prospect of taking a 'no deal' off the table at this stage.